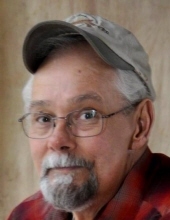 Robert “Bob” Hinamon, 69 of Charleston went home to be with the Lord on April 1, 2019 after a long illness. He was preceded in death by his father Walter Hinamon, mother, Masil Hinamon, brother, Charles Hinamon and sister, Janice Epling. Surviving him is his loving wife of 48 years, Shirley Nida Hinamon; son, William “Billy” John Hinamon of Charleston; daughter, Tina Hinamon Atkins and husband Scott of Woodbridge, VA. He had seven grandchildren that he adored. Kamme, Kalli, Kirklen and Kessa Hinamon of Charleston. Kaci, Makenzie, and Brady Atkins of Woodbridge, VA.
Also surviving him are several special nieces, nephews and some very special friends who are also left to mourn his passing. To our friends, family and church family we thank you for your calls, cards, visits and food but mostly your prayers. In lieu of flowers, Bob had requested charitable donations be made in his name to: Kanawha Charleston Humane Assication, 1248 Greenbrier Street, Charleston, WV 25311. Friends may visit with the family from 6 to 8 PM Wednesday April 3, at Cunningham-Parker-Johnson Funeral Home. His going home celebration will be at 12:00 PM Noon with viewing one hour prior to the service on Thursday April 4 with the Rev. Ronnie Nida and Pastor Kenny Petry officiating. Burial will follow at Tyler Mountain Memory Gardens, Cross Lanes. Cunningham-Parker-Johnson Funeral Home is serving the Hinamon Family. To send flowers or a remembrance gift to the family of Bob Hinamon, please visit our Tribute Store. "Email Address" would like to share the life celebration of Bob Hinamon. Click on the "link" to go to share a favorite memory or leave a condolence message for the family.